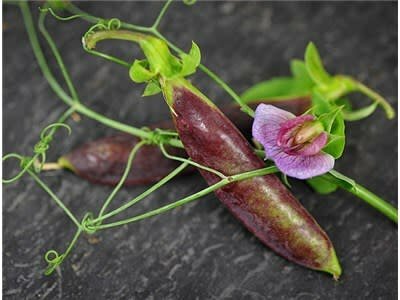 A marvelous innovation in sugar snap pea breeding from Dr. Alan Kapuler, the first ever purple podded sugar snap pea! 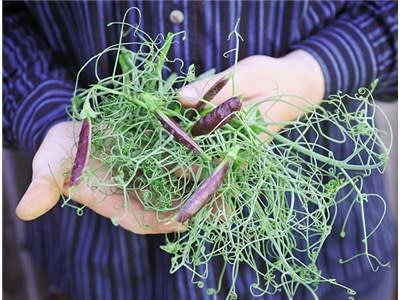 We love the dusty puple blue pods that really pop in a sea of green foliage. These vigorus vines can reach up to 8 feet tall in the garden and cover a trellis so nicely. The purple blossoms and profuse tendrils make this an incredible edible ornamental-- so dainty! The flavor is perfect, not too sweet, with a great snap!